Since 1990, the shop has been run by father and son team, Dave and Chris Bowman, catering for both Sea and Freshwater Anglers as well as supplying the commercial skippers in the harbour with equipment for their boats. 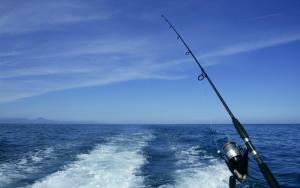 We are open all year round offering bait, equipment and friendly advice. We have extensive stocks of equipment, lines, lures, hooks, reels and rods and are happy to chat over your needs and answer any questions. 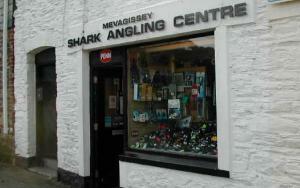 Whether an experienced angler or a first time fisherman, Mevagissey Shark Angling Centre can cater for all your fishing requirements. 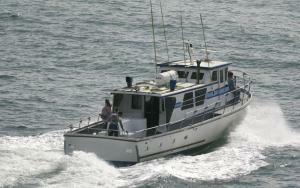 We are pleased to be able to book charter boat fishing experiences for many of the boats working out of our harbour in the very busy fishing village of Mevagissey. Range of padlocks now in stock. We have now taken delivery of the majority of new stock for 2017 including many new rods and reels from Mitchell, Penn, Shakespeare and Abu Garcia. The old favourites are still there but ranges have been expanded to include new combo kits, kayak rods and the new Shakespeare Agility range of rods and reels,particularly the saltwater range of reels. Key cutting service now available. Campingaz cartridges & cannisters now available. Jubilee Clips in 104 stainless steel now available.